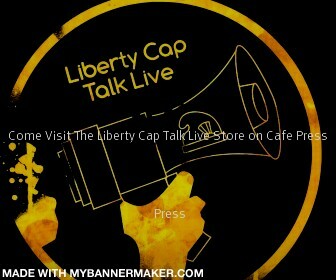 I interviewed Dr. Murray Sabrin, a self-proclaimed "Ron Paul Republican" and a candidate for U.S. Senate representing the State of New Jersey, on my show Liberty Cap Talk Live on NowLive. Here's Part 1 and Part 2 of the interview. Update: The end of Part 1 was screwed up because of NowLive's never-ending technical glitches, so when the show ended abruptly during the interview, the last few minutes of the first segment ended up being a repeat of the last 4 minutes of the interview before we were cut off. Apologies are given in advance for the problems with the podcast. Third Party Watch's Stephen Gordon reports that former Minnesota Governor Jessie Ventura is pondering a presidential run. If Ventura does put up an independent bid, it could generate a shift in the balance of power in the current race. With pro-war Wayne Allyn Root possibly the Libertarian Party's contender, phony pro-peace Barack Obama most likely being the crowned Democratic frontrunner, and pro-war John McCain the already-anoited victor in the GOP race, what will Ventura offer that the collectivistic establishment already has? Check out the new Google Sky, offered by Google (my favorite search engine to date). Martin Feldstein of NBER, the nation's top establishment economist, dishes the truth about the U.S. depression that he and his fellow government-supported cronies helped engineer, install, and tout. The Associated Press reports that the price of gold, in relation to the incessant tumbling U.S. dollar due to the U.S. government-created Federal Reserve's saturation of the money supply, has gone up to $1,000. If the dollar continues to drop at an unabated rate, what will the price of gold be at that point in time? $2,000? $5,000? The free market will eventually jump in and make adjustments to the situation by allowing more gold competitors to jump into the fray. That will, in return, result in lower prices. Of course, the only way for that to happen is to abolish the Fed, repeal the legal tender laws, and replace the current monetary policy with one that favors a gold and silver standard. The Connecticut government school eighth grader who was suspended for purchasing a bag of Skittles candy from a fellow classmate has now been cleared of the charges brought against him by the school officials. Now the question that should be asked is - did LLR have anything to do with this latest about-face? Ron Paul Rally on April 15 a.k.a. "Freedom Day"
Linda Hunnicutt, a.k.a. "Granny Warrior," will be kicking off a Ron Paul rally in D.C. on April 15 a.k.a. "Freedom Day." Ron Paul and his wife Carol will be there as well. Apparently the Ron Paul Revolution lives on in this amazing new, animated supported-created promo ad. If you want to see the high resolution version, surf to here and check it out!! !